Requirements for Registering a Company in Nigeria - Law Firm in Nigeria - Lawyers in Nigeria. For any business, whether small, medium or large looking to set up in Africa, Nigeria is the primary location for commerce and investment in the African region. This publication gives a snapshot of the requirements for registering a company in Nigeria. The term “Nigerian Company” is widely used as the shorthand of “Nigeria private company limited by shares”. It is the most popular out of the four (4) types of business entities in Nigeria because it is a limited liability business entity for both local and foreign investors. 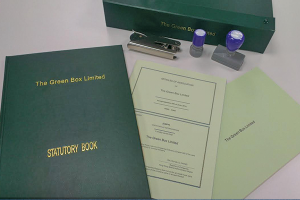 “Ltd.” or “Limited” is often used as the abbreviation of “Limited Company”. Separate liabilities from owners: Company’s liabilities are limited to capital invested into the company. Easy company registration: None of the directors and shareholders are required to be present in Nigeria. Investment Incentives: It can take advantage of the investment incentives and tax exemption offered by the government. Easy Expansion: It is relatively easy to expand or to scale-up by selling shares or offering a stake in the business to outside investors. Easy to Raise Capital: It is easier to raise large sums of money for the business or sell a part of the business. Subsidiary company: Corporate directors and Corporate shareholders are allowed. Nominee: Use of nominee director and shareholder is not restricted. Our law office handles company formation and business registration in Nigeria. 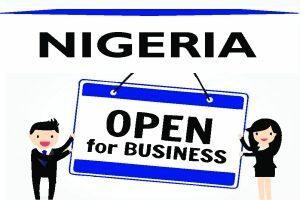 We will act as your legal representatives in Nigeria and incorporate a new company for you within 5-7 business days. The directorship and shareholding of a Nigeria company are completely transferable. If you prefer the acquisition of an existing Nigerian company whether by way of merger & acquisition, take over, or purchase and assumption, please note that the bid for such company would depend on availability, approval by the Securities and Exchange Commission (SEC) and sanctioning by the Federal High Court, thus it costs more than that of a new company. We need you to send the particulars of your company and all the following documents to us which may be transferred via email at lexartifexllp@lexartifexllp.com. A notarized Power of Attorney appointing us to act as your solicitors for the incorporation of the company here in Nigeria. Proposed three (3) names in order of preference for our office to find out any of their availability at the Companies Registry (or, in our list of ready-made company). For local and overseas companies, the place of Incorporation and a certified copy of the company’s certificate of incorporation. Provision of Nigerian company secretary and local registered office address are mandatory in Nigerian company incorporation. Company Secretary is a statutory position, it is not the same as the personal assistance of the company’s key manager. Local registered office address is intended for receiving government correspondences. For this purpose, we offer virtual office services to help offshore investors and overseas companies. The minimum authorized share capital to register a Nigerian company with foreign shareholder(s) is NGN10 million (US$27,777). For a wholly owned Nigerian private company, it is NGN10,000 (US$27) and NGN500,000 (US$1,388) for public companies. Shares can be issued for non-cash consideration provided that the Articles of Association of the company permits that. However, the minimum paid-in capital requirement is zero (NGN0) US$0. In other words, it is NOT mandatory to deposit any amount of money as start-up capital for the registration of the company. A private company must have at least 2 directors (non-employee shareholders), but not more than 50 members. We will obtain the Certified True Copies of your company incorporation documents from the Corporate Affairs Commission after registration. These documents will be required by Nigerian Banks when you want to open a corporate bank account for the company.